This study analyzes whether income inequality within a community at the neighborhood level is associated with incidence of mood disorder in Japan. A retrospective cohort study was performed using the data of 116,658 National Health Insurance beneficiaries aged between 20 and 69 in Chiba City, Japan. To evaluate income inequality within a community, the Gini coefficient within a 30-min walking distance from an individual’s residence was calculated using income distribution estimated by the National Census and the Housing and Land Survey 2013. Incidence of mood disorder was determined through insurance claims submitted from April 1, 2013, to March 31, 2016. A multilevel logistic analysis with three levels—the individual, household, and residential district—was performed to evaluate the association. Income inequality within a community at the neighborhood level was not associated with incidence of mood disorder in the models with and without equivalent household income (p for trend = 0.856 and 0.947, respectively). No difference was observed in the impact of the Gini coefficient among income levels, lower versus higher income groups (p for interaction between Gini coefficient and household income = 0.967). 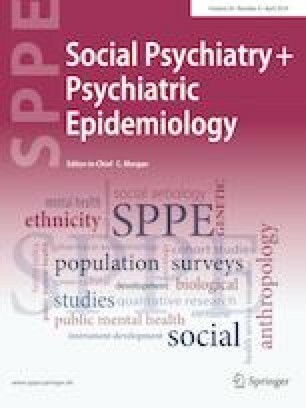 In contrast, lower equivalent income at the household level was significantly associated with higher incidence of mood disorder (p for trend < 0.001). While we confirmed that lower income at the household level itself had an adverse effect on mental health, income inequality within a community at the neighborhood level was not a significant factor for incidence of mood disorder in Japan. The online version of this article ( https://doi.org/10.1007/s00127-019-01687-w) contains supplementary material, which is available to authorized users. We sincerely appreciate the invaluable help and support of the Chiba City Hall staff; Masashi Nagashima, as well as Yuki Nakamoto, Toshitaka Hosono, and Shinsuke Mizuma, who provided all the data analyzed in this study. This work was supported by JSPS KAKENHI: Grant number 17K09195, and the Chiba Foundation for Health Promotion and Disease Prevention. As this was an observational study using existing data collated by Chiba City, consent was not obtained from each subject enrolled in this study. All personal information (e.g., names and telephone numbers) was removed from the records, and all data were anonymized before being provided. The study protocol was approved by the Research Ethics Committee of the Graduate School of Medicine, Chiba University (Approval Number 1724). The study was carried out in accordance with the principles of the Declaration of Helsinki and the Ethical Guidelines for Medical and Health Research Involving Human Subjects.